Resist, ‘to exert force in opposition’. Latin origins resistere, from re- + sister ‘to take a stand’. At the Human Venture Institute, we are committed to studying the common patterns in human striving, failure and achievement throughout our species’ history and development. This includes the exploration into specific fields of endeavor. Anthropology is one such field. At the recent Society for Applied Anthropology (SfAA) conference, participants shared frustration and concern for humanity due to the rise of and consolidation of power, and the inequalities that result from colonialism, neo-liberal policies, unfettered growth, and climate change. Anthropology, the study of human society and culture, has a natural overlap with Human Venture level inquiry and caring. Historically, the American Anthropological Association (AAA) has spoken out in response to harmful government policies, leadership and global issues. In recent months, the AAA has made statements and resolutions against the use of torture, in support of Standing Rock and the protection of human rights, against the Trump administrations immigrant travel ban and reversal of climate change policy. These statements, and many others, can be found on their website. 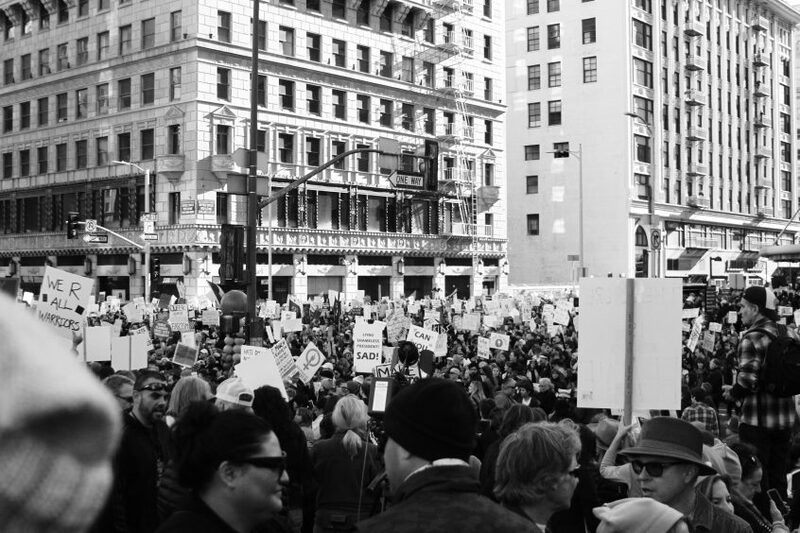 By speaking out and publicly opposing world events or government policy, the community of anthropologists are demonstrating a form of resistance. These advocacy statements are rooted in their primary ethical obligation1 to do no harm. Anthropologists are sometimes the only voice of vulnerable populations, sharing their culture and advocating for their survival. This is an extraordinarily caring group who connect our current human condition to the follies of our past and those of the present. We are now three months into the new US presidency and the resistance shows no signs of slowing down – because the controversial and potentially harmful decisions made by the President and his administration also show no signs of slowing down. Resistance requires more than just caring, good intentions or having a ‘different view’. The kind of resistance required to push back ignorance and error harmful to our civilization requires a deep understanding of the issues, their history and implications. This kind of resistance also requires one to consider themselves part of something much bigger – and not in a cliché kind of way – but in a way that you identify with and see the needs of humanity. This broader view can sometimes challenge your ideas about what is best for you, your family or country. A great example of this level of understanding and caring is Sophie Scholl and the White Rose resistance group in Germany during WWII. Sophie Scholl and her brother Hans established a resistance movement that communicated the atrocities of the Nazis to their fellow Germans in an effort to wake their country up. They distributed pamphlets throughout Munich which eventually made their way across Germany and overseas. The group operated with the knowledge that getting caught may cost them their lives. In the end, it did. The White Rose and many other groups like them were motivated by their connection with humanity, not just their own safety. Resistance and other movements have been a critical part of our human story. From the early use of stone tools to the industrial revolution; from imperialism to free market capitalism; through the World Wars, the Cold War, to the war in the Middle East, each of these are movements embedded in a larger human movement of progress and development over time. Although some have had incredibly destructive impacts, they are all a part of our species learning. At this place and time in history, it’s imperative to pay attention to events going on around us and to take the time to understand them within the larger ecology of world events. There is a lot to pay attention to, but cultivating the capacities to assess resources and their intent is important. Thankfully there are many groups out there pointing us to the significant issues and providing opportunities to resist. The Arab Spring of 2010 to 2012. Resistance to the ongoing war in the Middle East. The rise of ISIS and other extreme religious groups. The United Kingdom’s vote to withdrawal from the European Union, BREXIT. Right-wing fundamentalism in countries like France and Hungary. The election of Donald Trump as the President of the United States. Resistance to the ongoing extraction of natural resources and pipeline expansion. On January 21, 2017 women and men marched all over the world to support the Women’s March on Washington. On April 15th, marches took place all over the US to tell President Trump to release his tax returns and to develop a fairer tax system. The Intercept’s and Naomi Klein’s recent video How to Jam Trump’s Brand. (p.s. Klein’s new book No is Not Enough comes out in June). On Earth Day April 22, people all over the world will March for Science , to ‘champion robustly funded and publicly communicated science as a pillar of human freedom and prosperity’. Common Dreams has published daily opportunities to resist. Our human story won’t progress in more adaptive ways without voicing our concerns or taking a stand. Resistance comes in many forms. One that each of us can do every day, is to pay attention to and understand the issues and challenges of our time. We are each part of a great movement, the movement of humanity, and there is much work to do!